Guest blogging can be a great way to generate more traffic, increase brand recognition, and sell products when done right, a huge part of SEO strategy. It is a good way to leverage someone else’s reach and get in front of their audience. However, there’s a possibility that you’ll be wasting your time if you don’t go about it the right way. In fact, blogging on the wrong sites or making other mistakes could end up hurting your site’s reputation, and search engines have no tolerance for sketchy guest blogging practices. 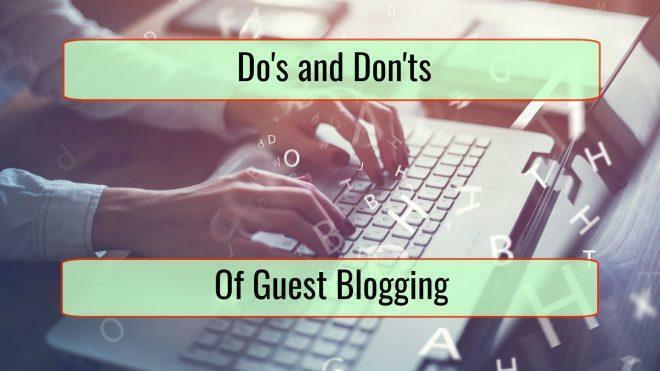 We’re going to outline the do’s and don’ts of effective guest blogging before explaining the logic behind each of these rules. A quality blog will have a consistent focus and dedicated following. Do your research. Only submit to blogs that have a large enough following to be worth the effort. The larger the readership, the better it is for you. Conversely, many guest posts on low quality blogs with backlinks to your website will end up hurting your site’s rankings with search engines. There should be an overlap between their audience and your customer base, though guest blogging is a great way to target a specific customer segment that you know follows that particular blog. Your guest post on a blog should be a fit with the blog’s focus, and ideally, it should share their overall goals. If you’ve submitted a proposal and haven’t heard back in several weeks, you can send a follow-up. Don’t badger them for a response or you’ll guarantee it’ll be a no. If they say your articles aren’t a match, don’t keep submitting new content in the same vein or you’ll be blocked. Move on to another potential site for a guest posting. If a publisher has formal guidelines for submitting guest posts, this is a point in its favor. That means it is well-regarded and properly vets any submissions. Where a formal submission exists, follow it to the letter. Your guest posts are more likely to be accepted when the submissions make the blogger’s or publisher’s job effortless. Follow their guidelines for format and topic. If they require sources for an article, provide them in the required format. Don’t exceed word count limits or submit something that’s too short. If they like the content but want more volume, ask whether or not infographics or in-depth analysis would be preferred. If they ask for changes, make them and resubmit. This makes them much more willing to work with you. And while you’re at it, ensure that your content provides something of value to the host site as well as your own blog. On the flipside, you shouldn’t add to the publisher’s workload. They may give feedback on a submission, but they are not your editor. Every article should be proofread and perfect before you submit it. And don’t have a two-page pitch before they get to the article. They don’t have time to read pages of explanations to learn about the article you want them to publish. Offer to provide samples of your own work, but only mention it or include links to it in your initial proposal. 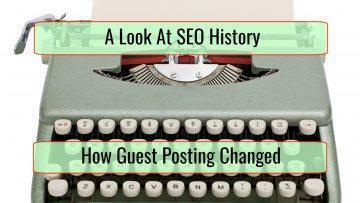 Guest posting is supposed to be a win-win arrangement for all involved. The website doesn’t have to come up with new content. The guest poster is introduced to a new audience or builds their reputation with potential customers. 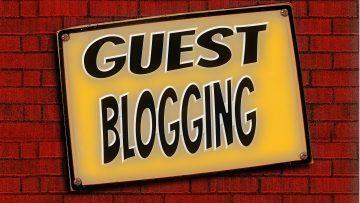 The publisher of the blog will leverage their social media skills to promote the guest posting. However, you shouldn’t neglect to do the same on your side. The publishers expect the guest blogger to promote the article when published. That is the minimum. Taking the time to promote the upcoming blog post while giving a shout-out and back link to the blog will increase their social media mentions and search engine ranking. In short, the acceptance of a guest posting means you’re going to have to dedicate as much or more time to promoting it as you would your own blog posts. And if you want to build a long-term relationship with the publisher, this is a necessity. If you want to add value and increase engagement, answer questions that the blog receives and reply to comments after you’ve published it. If you do well, you could end up with follow-up blog posts on that site that the readers want to read. Avoid radically altering your writing style to create content that is far from your blog’s or brand’s voice. Make sure your content and writing style are consistent with what readers would find elsewhere. Respect your audience by not being too promotional. Respect the blog you’re posting on by keeping links minimal, natural and relevant. A link to your blog in the author bio is standard practice. A link to a relative blog post on your website is reasonable. However, your blog posts shouldn’t have so many external links that it hits the publisher with a spam penalty. One of the worst things you can do is lie; it will affect your reputation if you get caught. Never say you’re a fan of the blog when you really aren’t. You can make that claim after you take the time to read the blog, follow them on social media, and engage in the comments periodically. This way, you may actually give yourself a chance to build rapport with the publisher before you submit content. Or they might recognize your name when you submit a proposed guest post, which will increase your chances of being accepted. Furthermore, you should be transparent with publishers. If you lie to them, the bridge is permanently burned. Be up front about your intentions and affiliations too, since this will help build trust. Guest blogging is an excellent way to increase your reputation online, generate mentions across the board, capture the attention of your desired audience and see your search engine results ranking improve. However, achieving all of this requires a cohesive guest blogging strategy that avoids costly mistakes.